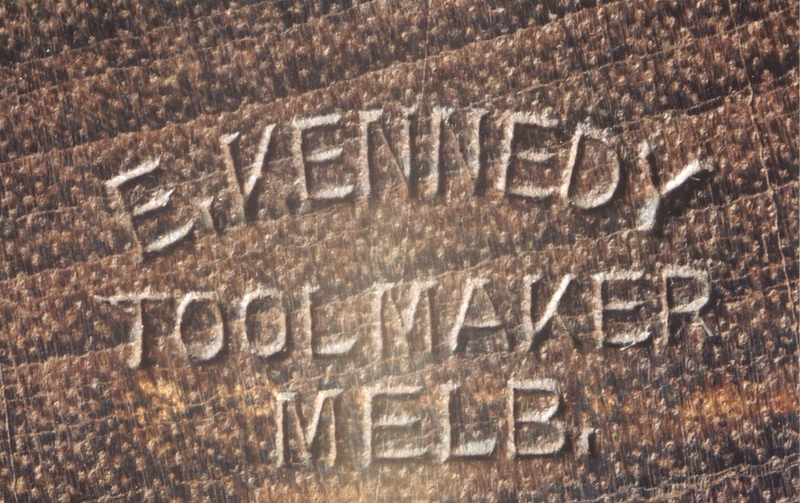 E. Kennedy is listed as a toolmaker in 1928 in Exhibition St Melbourne. 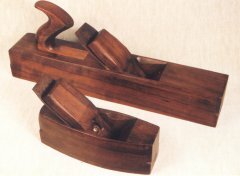 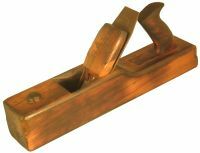 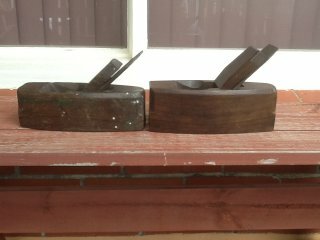 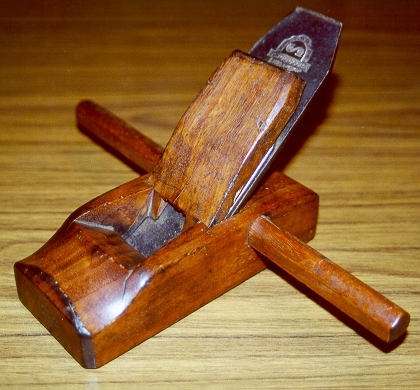 Kennedy planes were invariably of Blackwood and well made. 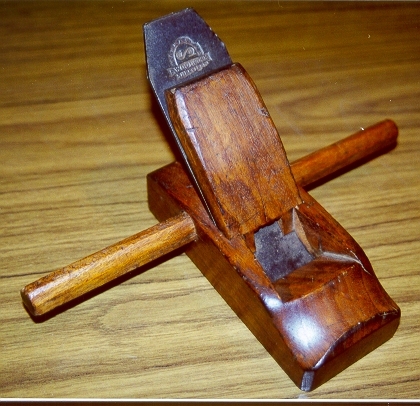 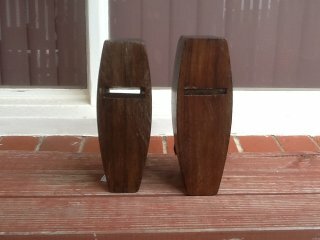 They are uncommon on the tool collecting scene which suggests that few were made. 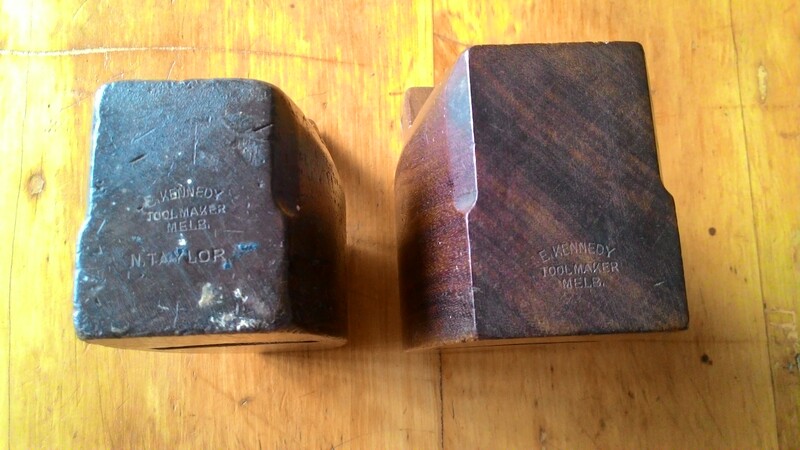 Blackwood timber (Acacia melanoxylon) is prized for fine furniture and cabinetmaking. Very rare. 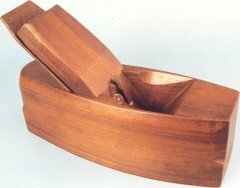 Razee planes have the back cut away for better balance and more precise control by lowering the centre of gravity - from the nautical term razee, a sailing ship that has been cut down to reduce the number of decks. 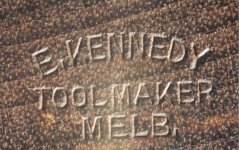 Thanks to Rod Thomas, Ken Turner, Kevin Chamberlain, Gil Rogers, George Radion and Mark Ostenfeld for these images.